I always thought Oriental Trading was cool. My mom would order some really rad stuff from there for her company’s annual picnic. You know, like water guns, plastic batons, candy. Okay, that’s stuff is really cool to a eight year old. I’ve been a loyal Oriental Trading Company buyer throughout college and my 20’s (so sad they’ve past). It’s a great destination for party décor. Well Oriental Trading, you just upped my love for you. BIG TIME. 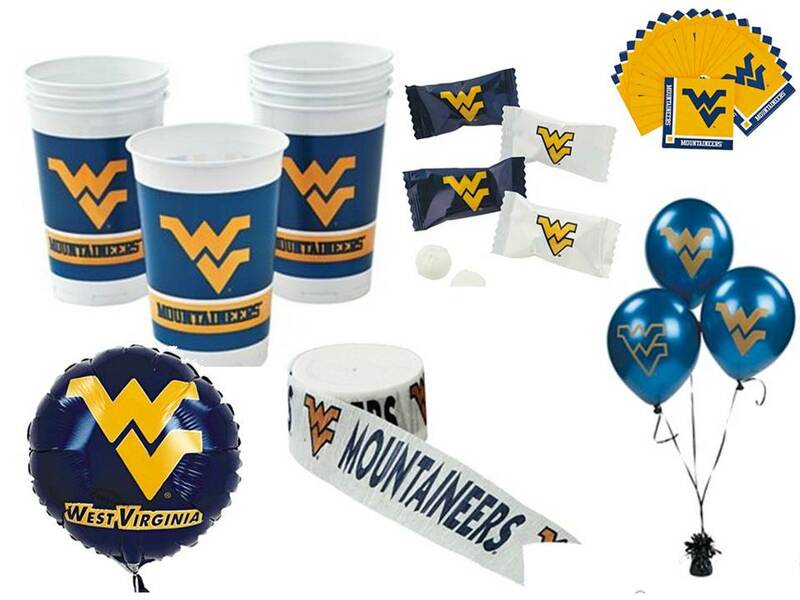 Oriental Trading has added COLLEGE PARTY GOODS to its. And let’s just say that it’s super awesome stuff at super awesome prices. This just pumped me so up for tailgating season. Let’s go Mountaineers! Let's Go Drink Some Beers!